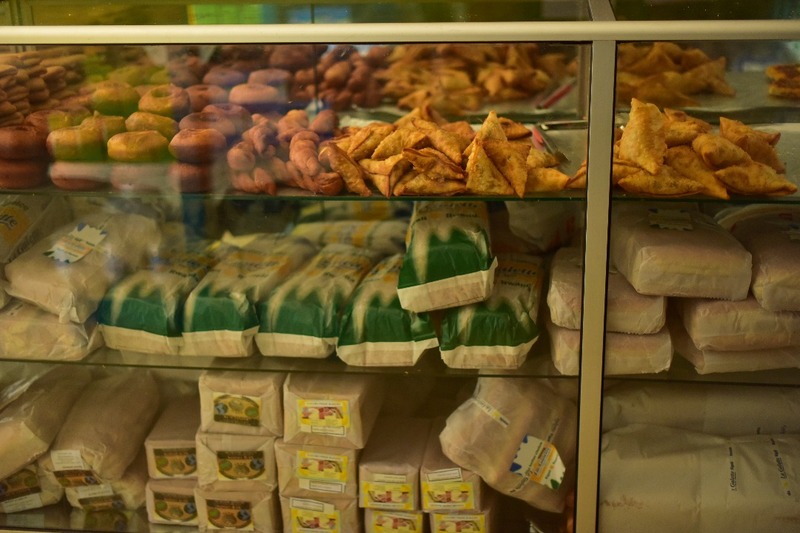 In 2013, a law establishing the Rwanda Food and Medicine Authority (RFMA) – a body supposed to regulate standards of foods and medicines was passed by parliament. However, up to date, the body has not been formally established. The absence of this body leaves the citizens at the mercy of the unscrupulous food manufacturers and traders who use the gap to sell substandard products. Consider six family or public events you attended until this week and you will agree that at least three of them had small pieces of sausage served with cheese as starter during functions. 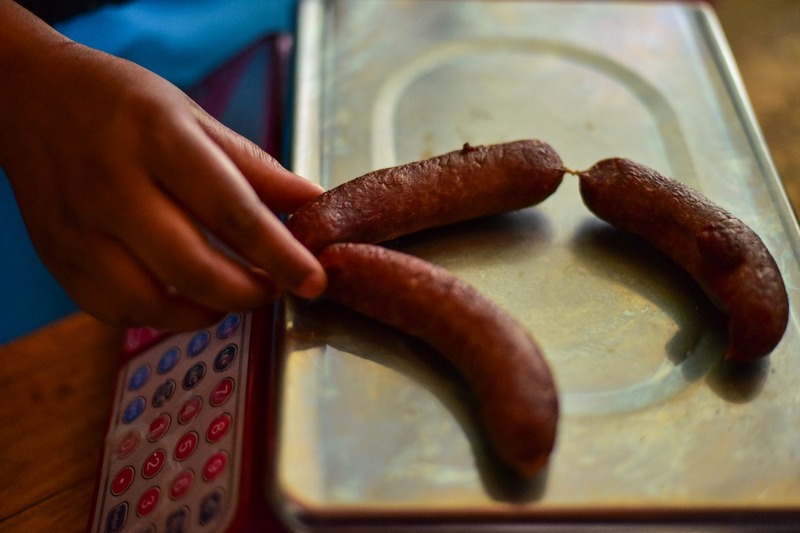 Serving guests with sausages has been a growing trend across Rwanda, and this is mainly attributed to its availability, affordability and ease to prepare compared to other snacks. Well, in future, you may need to think twice before deciding whether to take the sausage, or to wait for the main course – if it is available anyway. A few weeks ago, KT Press reporter went to buy meat and young boys acting as agents welcomed him. “I have the best meat,” they all echoed pulling the client to their side. Finally, one only identified as Rukundo led him inside a butchery, claiming that it was the one stop center of fresh meat. “The fresh meat is reddish and the stale meat is whitish and has no smell of freshness,” Rukundo said, pointing to the meat in front of him. He explained that the difference between fresh and stale meat is hard to tell for somebody who does not regularly buy meat. The explanation raised the reporter’s curiosity and suspicion that clients could be buying meat that has gone bad. This scenario pushed KT Press to launch an investigation into the world of meat business to unearth what meat lovers could actually be consuming. A team of reporters was dispatched to go to the same butchery posing as clients who want to buy meat in big quantities and on a daily basis to start producing samosas and sausages. “I will always select for you fresh meat, good for sausage,” the seller pledged. Later, we agreed that we would strike a deal, the seller led us towards a nearby sausage mini-factory to seek more expertise from the people who have been in the business for some time. At the factory, one of the employees agreed to an appointment to talk business over the weekend. On the agreed day our reporter met the contact and after a 3-hour long conversation, a strong friendship was established and he promised to teach him everything about sausage and tricks on how to profiteer from the business. “Actually, my boss has a specific salt (chemical) that we put on meat and it recovers its freshness however stale it could be,” said the contact with uncertainty about its spelling and whether it is available in Kigali. From this time on, our undercover reporter was to take a sausage making course by our contact. Another appointment was made at the factory, where the reporter expected to meet the contact at around 7pm when fellow employees had left the premises. He managed to get our reporter to access the manufacturing area after three unsuccessful attempts. On the fourth attempt, the reporter and the “trainer” locked themselves inside the factory for a learning-by-doing session. Inside the factory, it was turning dark and the trainer had to turn on lights. The factory was full of equipment including grinding machines, sealing machines, chopping machines, ingredients and several other preservatives. 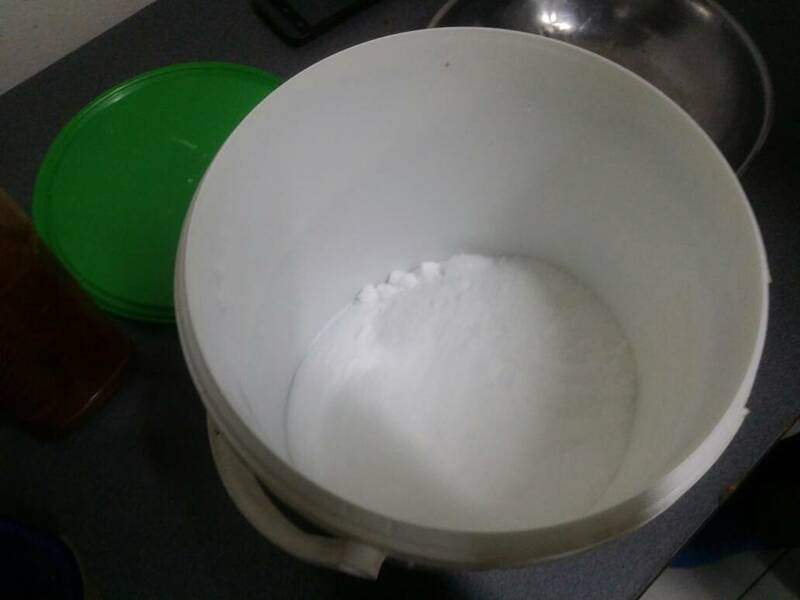 “This is the salt I was talking about,” he said while opening a 5 kilogram container of a salt branded ‘Colorozo’ (NaNO 0.6%). “This salt turns the stale meat to freshness,” he added revealing that such maneuvers are necessary to avoid losses and get more profits. 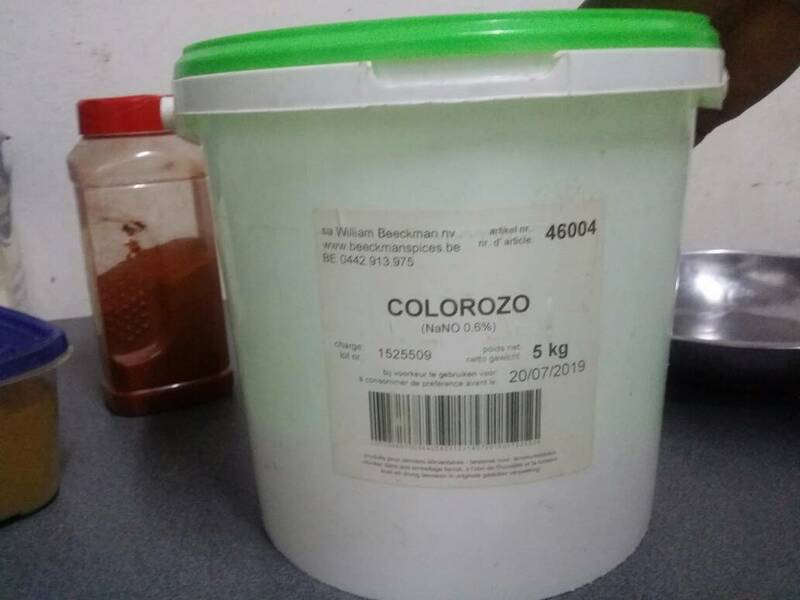 As we later came to learn, Colorozo is a legal ingredient and is meant for conservation of sausages and in itself causes no problem to health, except when used in excess doses, which we suspected is what was going on at this factory since our contact intimated that the salt turns the meat to freshness. “Colorozo usage in sausage has two essential roles; binding the grinded meat and conserving sausage,” Prof Anastase Kimonyo, President of Rwanda Society of Food Science and Technology (REST) and a Lecturer at University of Rwanda, told KT Press in an exclusive interview. In fact, for grinded meat to hold together, there is need of a substance like Colorozo. However, at the factory where our investigation was conducted, our contact revealed that they produce between 100 and 300 sausages daily on order. “Nitrite and Nitrate is used to make sausage but it is not allowed to use them to turn rotting meat into fresh meat,” said Prof Kimonyo. Going by Professor Kimonyo’s explanation, it means that the public is consuming dangerous food products produced at this factory, The food have dangerous bacteria that is harmful to the human body. Our investigations further revealed that this factory is a big supplier of processed meat products to a number of hotels, restaurants and supermarkets in the city and it is these products that end up on people’s plates. Kimonyo suspects that the rising number of cancer cases could be due to unprofessional food processing practices right from the farmer to the final consumer. In seeking the definition of meat that is not fit for consumption, an expert told us that one needs to consider its conservation condition. 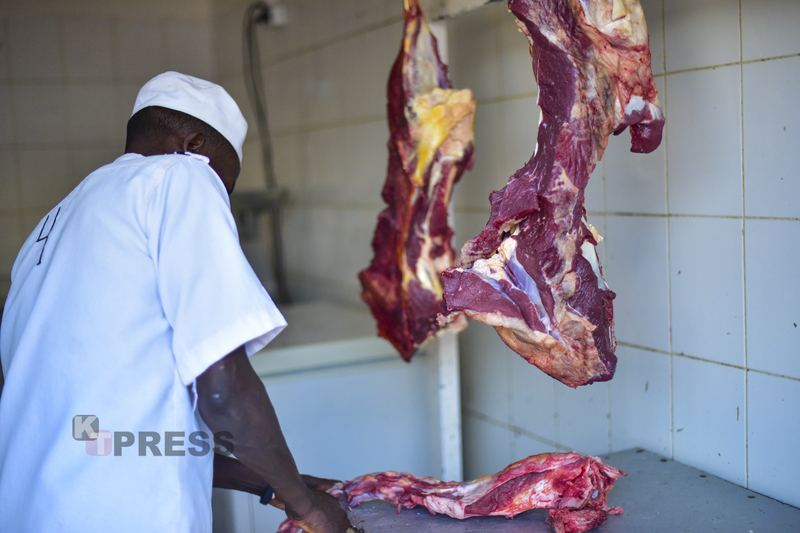 Anastasie Mukakayumba, nutritionist at Santé Plus in Kicukiro District told KT Press that meat kept in normal conditions should not exceed three days and six days in a deep freezer while smoked meat should not exceed two days. “Proteins in expired meat start developing into decay substances, causing bad smell,” Mukakayumba said. “The smell is a sign that meat is in a decaying course, thus developing dangerous chemical substances. Even one day after the meat expiration date is very dangerous,” added Mukakayumba. Meanwhile, curious to know where one could get cheap meat for the business the contact led us to the butchery where he buys stale meat. 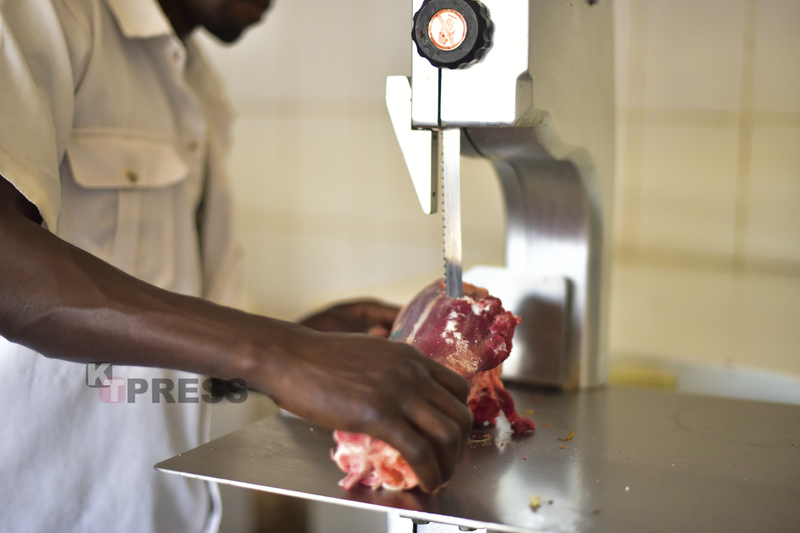 “We normally sell 1kg of meat at Rwf2, 000, but I could supply you at Rwf1, 800,” the butchery owner said pledging to keep reducing the price as demand increases. The butchery owner was honest to say that some meat had already lasted for 7 days in the fridge, yet he was still expecting clients to come for them. At a time when meat products have started being questionable, the milk products are not safe either. Nyabugogo Taxi Park is allegedly one stop center to expired yoghurt. Clients include passengers who get the products while on buses, ready to start their journey to countryside routes. In most cases sold at much lower prices compared to other shops, they lure the consumer who will pay without asking. “I no longer buy yoghurt from these small vendors here in Nyabugogo,” Clemence Uwimana, a mother in her 40s told KT Press. The reporter tried checking on the dates tag giving the impression that he wanted to buy. “Don’t waste your time checking the date tag! It is no longer a proof that a product is valid because they change the yoghurt cover with valid dates after it expires,” Uwimana said. However, Genevieve Nyabenda who owns a mobile kiosk in Nyabugogo Car Park says that when their products approach expiry date, suppliers collect them and replace them with new ones. 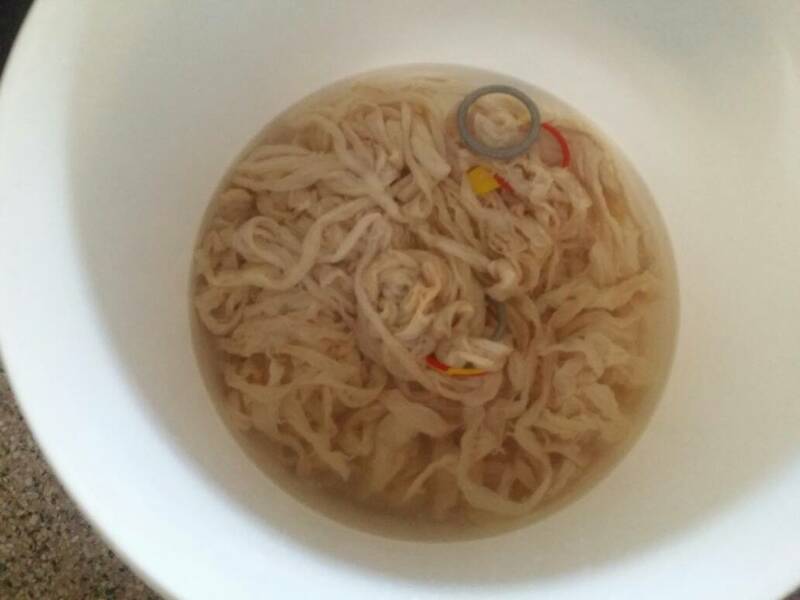 “We dispose-off yoghurt one day before expiry date. Suppliers take them away and give us new ones, but I don’t know where they take bad yoghurt,” she says. While yoghurt lifespan is seven days, Prof Kimonyo says when it is out of the refrigerator, yoghurt should be immediately consumed. “It is poisonous when it is consumed 30 minutes after it gets out of the refrigerator. Better take it immediately,” he advises. However, he explains that there is specific yoghurt with less acid meant for children which can last much longer at room temperatures. But says this should be indicated on the container. Meanwhile, bread consumers are not safe either. Some retailers we talked to confessed that they connive with some bakeries to change date tags bread and other confectionery products. “I am well aware that my clients like bread baked on the actual on the day of buying it, when I go to the bakery, I am given bread with tags of different dates so we improvise and put uniform date tags to satisfy my customers,” said a retailer on condition of anonymity. The retailers told us that bakeries trying to establish themselves in the market do replacements in the shops where they supply bread when they know it is close to the expiry. But the bakeries that are already established leave the suppliers to suffer the loss which leads them to devise means of selling expired bread by hook or crook. 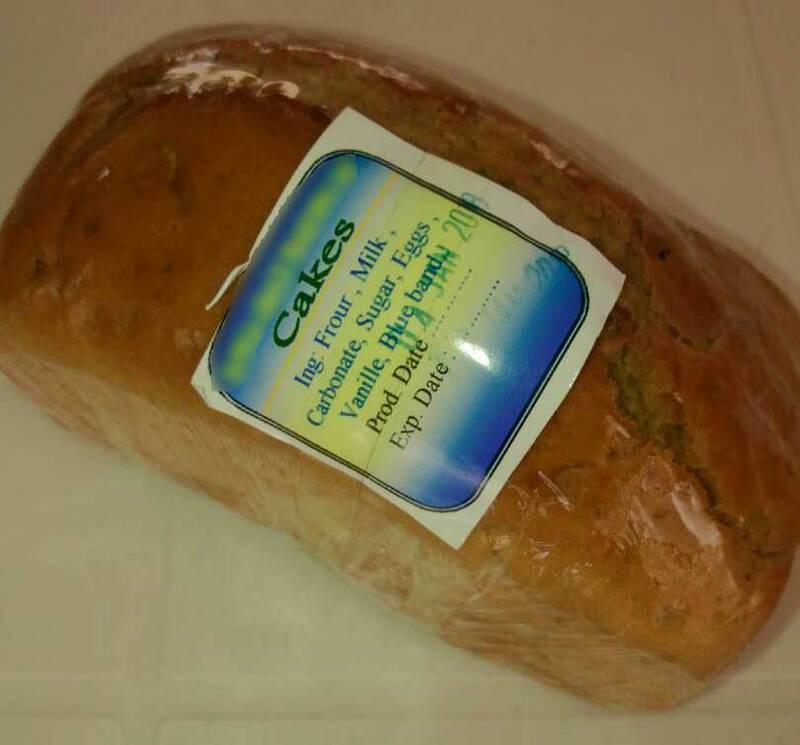 “We do not have any problem with struggling bakeries because they replace their bread one day before the expiry date,” he said adding that they negotiate with the established bakeries to give them spare date tags, just in case the supplied bread goes beyond expiry date. Moving to another mini shop in Nyabugogo Car Park, Emmanuel Uwishaka, vendor in that shop confessed that sometimes they sell stale bread while it still has valid dates. “Sometimes, a client buys bread and the next day in the morning they bring it saying it had started developing molds,” he said. “There is no way we can sell bad bread since everyday my supplier comes to pick those approaching the expiry dates and takes them away with him,” Nyabenda, another vendor, disagrees when asked. Uwishaka, however, suspects that when suppliers replace expired bread, they simply go back to the bakery and change date tags to trick clients. Nonetheless, food scientists say that mold and bacteria pose health risks. “Moisture/mold in bread causes micro toxins which are very poisonous to the human body,” Prof Kimonyo said adding that moisture can cause cancer. Research shows that mold and bacteria produce spores and/or chemical compounds into the air when they grow indoors. Health effects associated with these spores and chemicals may include runny nose, eye irritation, cough, congestion, aggravation of asthma and respiratory problems, headache, flu-like symptoms, fatigue, and skin rash and other allergic reactions. But back at the sausage factory, they continue to mass-produce to keep up with the huge demand – compounded by the endless parties dotted all over every day, and the many hotels coming up every day. I really appreciate what the journalist did. His investigation is providing in details what is happening all around, showing us at what extent Food Safety is compromised by some malpractices. This is right time to start working together with a focus to protect our consumers.